Hind Mezaina’s work delves into themes of cultural memory and the notion of heritage. For SB13, the artist examines the accelerated rate of change she has witnessed in Dubai over the years, developing a method of ‘visual archaeology’ grounded in presence and observation. Dubai Gardens, a reflection on man-made and natural green spaces in Dubai, offers an alternative view of a city hyperbolised in the media as ‘ridden in spectacle’. These often public areas were built for various purposes—for decoration, as a refuge or place of tranquillity, and sometimes even as a barrier. 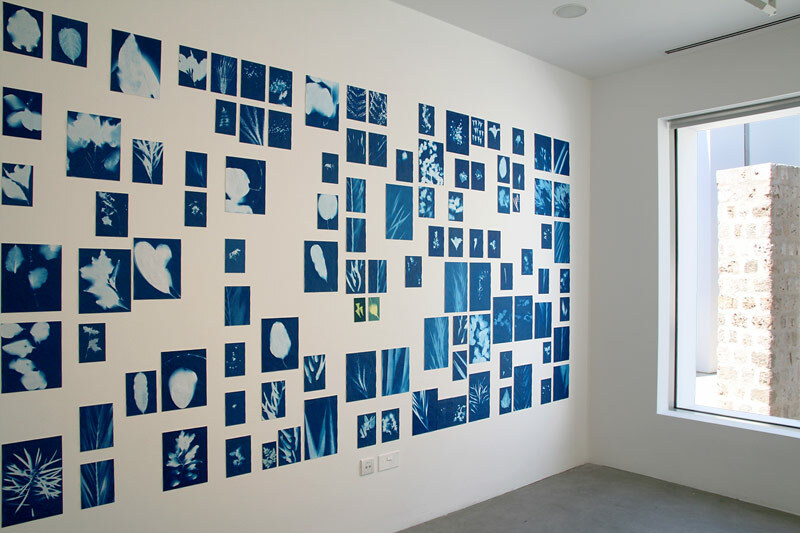 Using cyanotype, a mid-nineteenth-century process of camera-less photography, Mezaina draws attention to the plants found in these interstitial spaces by placing their foliage on lightsensitive paper and exposing them to produce the images on display here. Rather than snapping documentation for a botanical study or indexing different plant varieties, Dubai Gardens is enriched by the slow speed of the artist’s mode of capture and reflects a meditative interaction with the city. 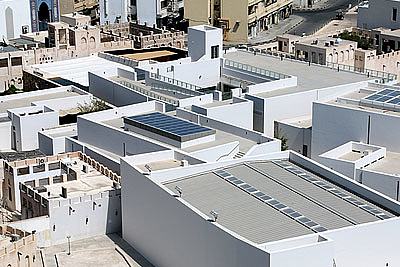 Accompanying the images is a text written by Todd Reisz, an architect and writer, whose work focuses on Gulf cities. * 1971 Dubai, United Arab Emirates; lives there.